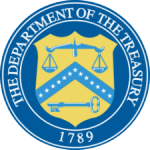 WASHINGTON – As part of a combined $1.3 billion settlement with federal and state government partners, the U.S. Department of the Treasury's Office of Foreign Assets Control (OFAC) today announced three separate agreements totaling $611 million with the following UniCredit Group banks: UniCredit Bank AG in Germany, UniCredit Bank Austria AG in Austria, and UniCredit S.p.A. in Italy. The settlements resolve OFAC's investigations into apparent violations of a number of U.S. sanctions programs, including those related to weapons of mass destruction proliferation. "UniCredit Group banks routed transactions through the United States in a non-transparent manner, when those payments would have been blocked or rejected if their true nature had been clear, in violation of multiple sanctions programs," said Sigal P. Mandelker, Under Secretary for Terrorism and Financial Intelligence. "These banks have agreed to implement and maintain commitments to enhance their sanctions compliance. As the United States continues to enhance our sanctions programs, incorporating compliance commitments in OFAC settlement agreements is a key part of our broader strategy to ensure that the private sector implements strong and effective compliance programs that protect the U.S. financial system from abuse." Pursuant to the settlement agreements, each bank is required to implement and maintain compliance commitments designed to minimize the risk of the recurrence of the conduct giving rise to the apparent violations. The full set of commitments are identified in each of the banks' public settlement agreements (UniCredit Bank AG [LINK], UniCredit Bank Austria AG [LINK], UniCredit S.p.A. [LINK]) and focus on areas that led to the apparent violations, including (1) a commitment from senior management to promote a "culture of compliance" throughout each organization, (2) a commitment that each bank implements internal controls that adequately address the results of its OFAC risk assessment and profile, and (3) a commitment to providing adequate training to support each bank's OFAC compliance efforts. OFAC worked closely and collaboratively with its counterparts at other government agencies in the course of these investigations. Today's settlements are being announced in conjunction with actions involving the U.S. Department of Justice, the New York County District Attorney's Office, the Federal Reserve Board of Governors, and the Department of Financial Services of the State of New York. "Today's settlements are the result of a years-long interagency effort and reinforce OFAC's commitment to working with partner agencies at the federal and state levels to ensure the U.S. financial infrastructure is protected from the risks inherent in this type of illicit activity," said OFAC Director Andrea M. Gacki. "We will continue to investigate institutions that utilize the U.S. financial system in a manner that undermines U.S. sanctions programs and aggressively enforce U.S. sanctions rules and regulations." The banks' obligations to pay OFAC such settlement amounts were deemed satisfied up to an equal amount by payments in satisfaction of penalties assessed by U.S. federal officials arising out of the same patterns of conduct during the same time periods. UniCredit Bank AG will remit $105,876,230 to OFAC to settle civil liability relating to the apparent violations.